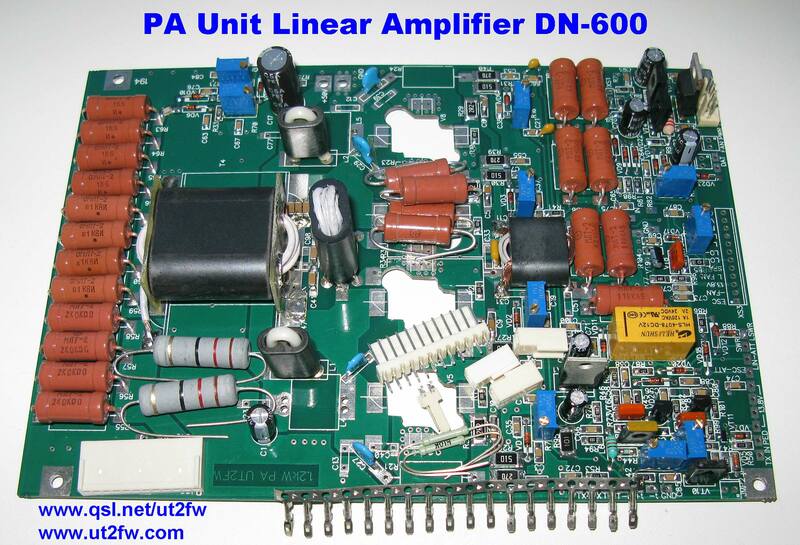 I offer PA Unit, what you can use in Solid State HF linear amplifier DN-600. 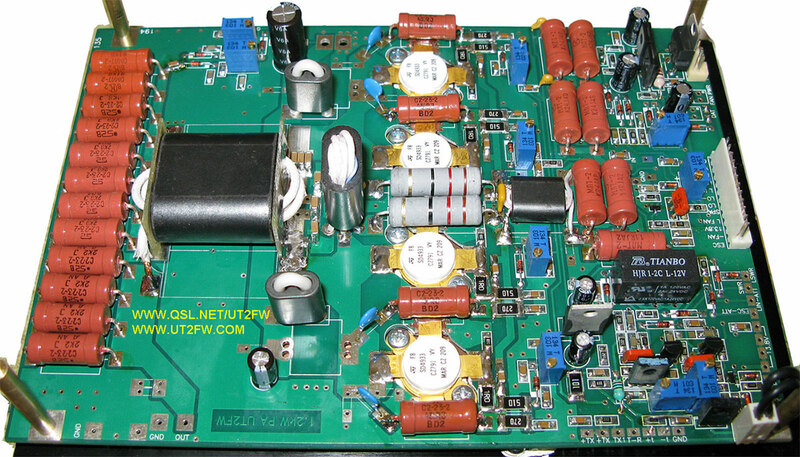 This PA Unit optimized for MOSFET like MRF150, BLF177, SD2933, SD2943, SD4933. Depended, which MOSFET you using, the output power can be in range 600-1000W PEP, with 8-20W drive power. Voltage is 45-52V. Current is 25-40А. Frequency range is 1-30MHz. Also, can be implemented 50MHz band, with reduced output power and minor scheme modifing. The circuit uses dual feedback system for better linearity. The main emphasis in the scheme - is an additions to improve reliability for PA.
PA input is protected by resistor attenuator R36,48,51,52,68,69. Also, АТТ is optimizing input for input VSWR. Elements VT8,9; Rel2; R97 are protected circuit for РА if input power is to hight. Resistor R72 you can adjust protection drop value. Protection scheme is with the "sticky" status, ie VT9 key state is hold until you will connect ESC contact with the ground or OFF/ON the main +13,8 V voltage for the protection board. The temperature control is separated for BIAS (NTС1) and for FANs (NTC2). BIAS voltage are adjusted for each MOSFET separately (R7,8,14,16), and stabilized by (VR1), in this case, can by in range 12-15V. If LPF malfunction or antenna malfunction, diode VD6 will protect the final MOSFET. LED-IN, LED-FAN, LED-OUT, ТХ indicators are on PA front panel. Input power indication (Pin), main power indication +50V (Vd) use analog meters and also located on PA front panel. Resistors R21,22,23,24 will be included in the package. 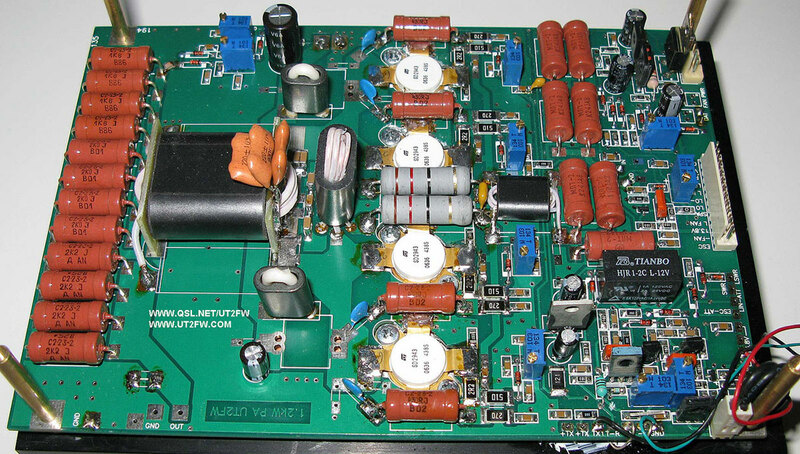 I do not recommend to build this amplifier if you do not have nessesary skills and experience. PA Unit DN-600 have various protection circuits, improving reliability, you can do some fatal error during adjustment process. The responsibility for what may happen afterwards will be on you. I will provide an any additional inforamtion and technical support. But, before you will ask a questions - please look already provided information. Detailed description for PA DN-600 you can see on this page => www.qsl.net/ut2fw. If you want to translate the page in other languages – just click the flag on upper right corner. 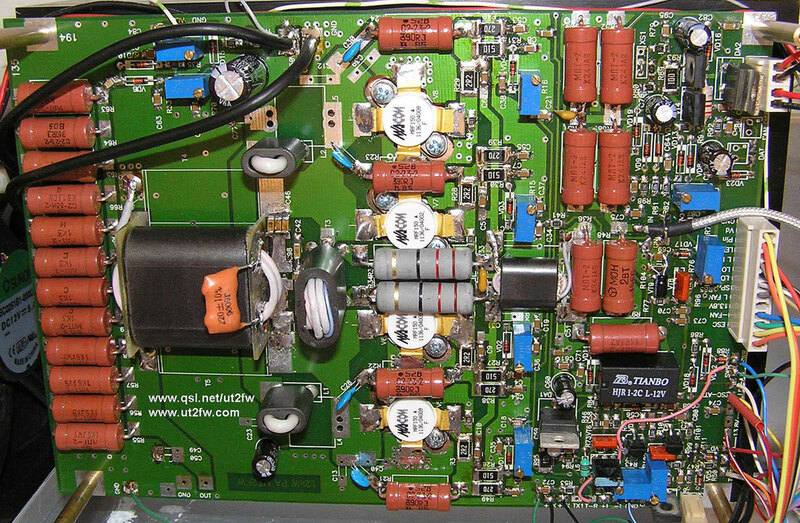 Please pay attention – PA Unit DN-600 offered WITHOUT MOSFETS. If you have an any problem to find the MOSFETs – i can to offer you matched 4pcs SD2933 in additional pay ($496 USD).